Many of the largest companies in the country pay less than 5% in taxes. They have experts who know the nuances of the many tax credits available to them. These are available to even the small and mid-sized business, but they are often unknown – even by your CPA. Be more proactive about what is available to you. Listen to our experts and learn how and some of the little-known credits available to you. Peter leads Bennett Thrasher’s state and local tax consulting practice. He has been practicing in the area of state and local taxation and economic development incentives since 1993. Peter has extensive experience in helping clients reduce their effective state tax rates through multistate tax planning and in resolving stat tax controversies from the audit level through litigation in state trial and appellate courts. Prior to joining Bennett Thrasher, Peter was a partner with a national law firm and practiced in the area of state and local tax controversy and litigation. Prior to entering private law practice, Peter was a aprincipal consultant in the multistate tax consulting practice of a Big Four accounting firm. 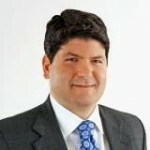 Prior ro joining Big Four accounting, Peter was a tax policy attorney with the Georgia Department of Revenue. Peter has worked closely with state tax and economic development policy makers to represent the business community’s interests. In 2002, Mr. Stathopoulos co-chaired a joint Georgia Department of Revenue/State Bar of Georgia committee that helped draft Georgia’s current consolidated income tax return regulations. In 2001, Peter served on the executive committee of the Business Council of Alabama that helped draft Alabama’s privilege tax scheme. In 1995, Peter was a tax policy attorney with the Georgia Department of Revenue and led the drafting of regulations for many of Georgia’s current tax credits and acted as a liaison with the Governor’s Economic Development Council. Wood Hughes owns the EQUITAX Property Tax Advisors franchises for three Georgia counties and just added five Florida counties. In 2010, his company has the largest market share of properties represented in all three Georgia counties. Wood was the first Realtor in Metro Atlanta to earn both the Accredited Land Consultant (ALC) designation and the Certified Commercial Investment Member (CCIM) designation. He graduated from the University of Alabama and has been in real estate sales since 1983. For five years, he filled in as guest host of the John Adams “Money Talks Real Estate Investment Show” on WGST.